The U.S. Army will send M1A2 Abrams main battle tanks to the Baltic states of Latvia, Estonia and Lithuania along Russia’s borders ahead of a NATO operation in the spring. 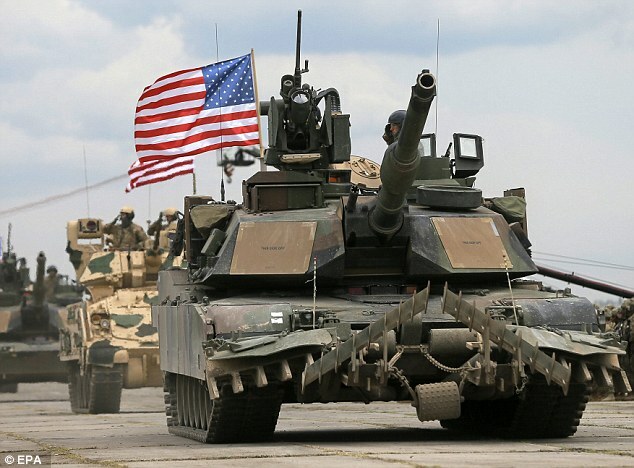 The tanks participated in joint drills between U.S. and Polish forces but some are being moved to the Baltic states to await a deterrence operation set to reassure the United States’ European allies that Washington, D.C., is committed to their defense, The Wall Street Journal reported. German troops are also arriving in Lithuania, British troops are reinforcing positions in Estonia and Canadian troops are being sent to Latvia. The United States deployed 87 tanks, 144 armored vehicles and 3,500 troops — the biggest U.S. deployment in Europe since the end of the Cold War — to perform regional operations through most of 2017 to combat Russian aggression, the Pentagon said. Another unit will replace the brigade that’s currently deployed in Europe in October. The United States did not have a single tank in Europe prior to Russian President Vladimir Putin’s annexation of Crimea in 2014. “Let me be very clear, this is one part of our efforts to deter Russian aggression, ensure territorial integrity of our allies and maintain a Europe that is whole, free, prosperous and at peace,” U.S. Air Force Lt. Gen. Tim Ray, deputy commander of U.S. European Command, previously said of the NATO operation.